If you're in the market for a hypercar, then get yourself over to British luxury car dealer, Tom Hartley, who has a Bugatti Veyron Super Sport in stock. 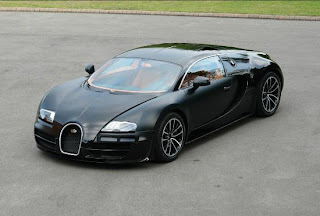 With a price-tag of £2.1m (€2.4m/$3.4m), the custom model features matte black paint, bright mandarin interior and 864 miles (1,390 km) on the clock. The Super Sport has an 8.0 litre 16-cylinder engine with 1,183bhp (1,200PS/882 kW) and 1,500 Nm (1,106 lb-ft) of torque.